TICKETS ARE NOW ON SALE (AND SELLING FAST) TO OUR OCT. 26TH YORKTOWN ASYLUM GHOST HUNTING EVENT! TICKET LINKS ARE POSTED BELOW! 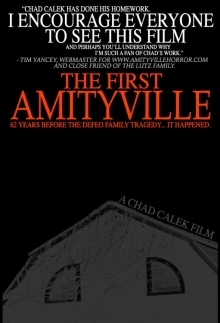 CHAD CALEK RETURNS TO THE YORKTOWN ASYLUM ON OCT. 26TH! TICKETS ARE ON SALE NOW! TICKET UPDATE (APRIL 18TH): ONLY 4 TICKETS LEFT! EVENT INFO, TICKET PACKAGE AND LINKS POSTED BELOW! 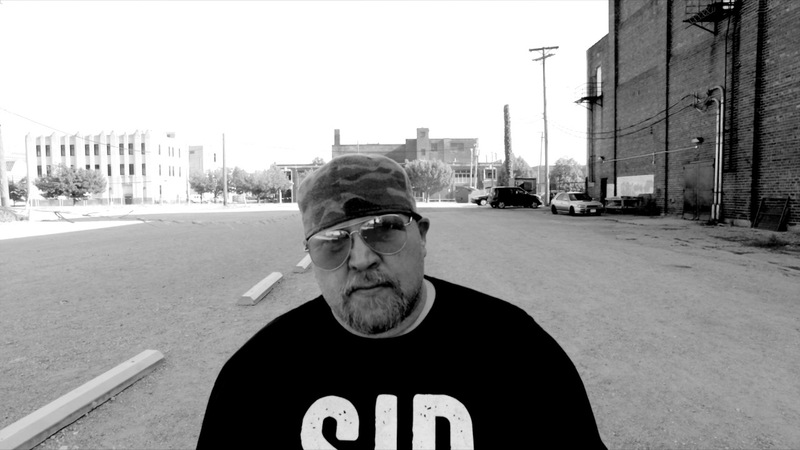 On Saturday, Oct. 26th, for one night only, Award-Winning Filmmaker and Paranormal Investigator Chad Calek, along with ONLY 25 ATTENDEES, will be returning to the historically haunted Yorktown Asylum just outside of San Antonio to welcome in the Halloween season with a MASSIVE ghost hunt from 8pm-2am! • Time for free pictures and autographs with Chad Calek at the Yorktown Asylum. • A 45-minute long ghost hunting seminar by Chad Calek at the Yorktown Asylum. • Ghost hunt the Yorktown Asylum between 9pm until 2am with host investigator Chad Calek. • An Autographed Mini-Event Poster to commemorate the Oct. 26th Yorktown Asylum ghost hunt. • A 3pm "Meet and Greet" session at a private location along the San Antonio Riverwalk (you will be emailed the location in advance of the event). • A 4pm two-hour long private dinner and Q&A Session with Chad Calek at a restaurant along the San Antonio Riverwalk (you will be emailed the location in advance of the event). 3.) THE PRIVATE GHOST HUNT VIP TICKET ($250) SOLD OUT! • PLEASE NOTE: ALL FIVE OF THESE TICKETS ARE SOLD OUT! "This is only the second ghost hunting event that I'm doing this year, which I can't think of a better way to celebrate Halloween, as Yorktown truly is one of the most haunted (and visually chilling) locations in all of Texas! With that being said, I hope to see you all there for what promises to be a truly awesome night of investigating. Much love and all the best!" HELP SUPPORT THE MAKING OF "PALE FACE" (THE "TWO FACE: THE GREY" FOLLOW UP DOCUMENTARY) WITH THE NEW "PALE FACE SUPPORT" T-SHIRT! Hello, my friends! We're proud to make the following announcements! • The official title of the forthcoming follow-up documentary to SIR NOFACE and TWO FACE: THE GREY has been announced, which the title is PALE FACE! • The goal is to film in Australia throughout the month of September with a release in February of 2020. • As of today, April 1st, 2019, our efforts to raise a portion of the production budget has officially begun with the offering of the PALE FACE SUPPORT T-SHIRT, which you can see and order below! • 100 percent of the proceeds go towards the production of PALE FACE, as we need your support finishing this trilogy of doumentaries! If you scroll down, you can order your PALE FACE SUPPORT T-SHIRT right now, in which SMALL, MEDIUM, LARGE, XL, 2X, 3X, 4X and 5X sizes are available! Please note that all orders will be shipped on May 5th, 2019! For those of you who are able to support the making of PALE FACE with a PALE FACE SUPPORT T-SHIRT purchase, we sincerely thank you all in advance, as PALE FACE is definitely going to be the most intense documentary of the SIR NOFACE, TWO FACE, PALE FACE trilogy! With that being said, thank you once again for your time, interest, consideration and support! Much love and all the best. 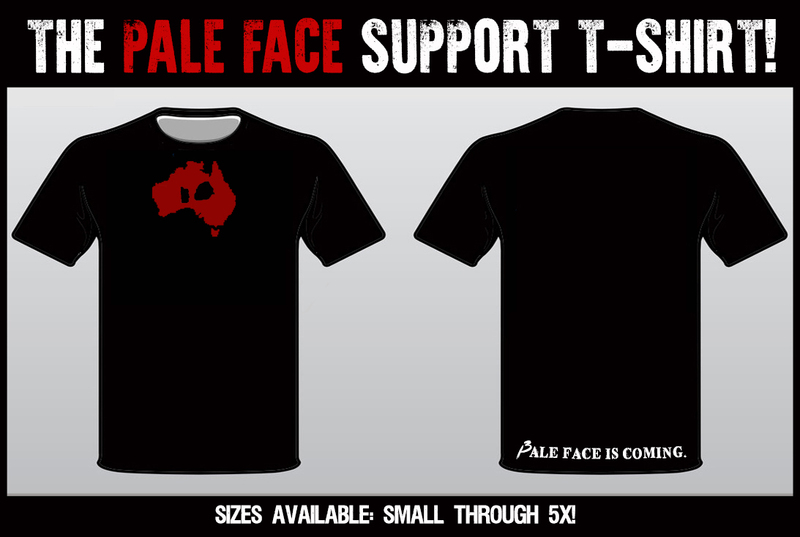 TO ORDER YOUR "PALE FACE SUPPORT T-SHIRT" NOW, PLEASE SCROLL DOWN! 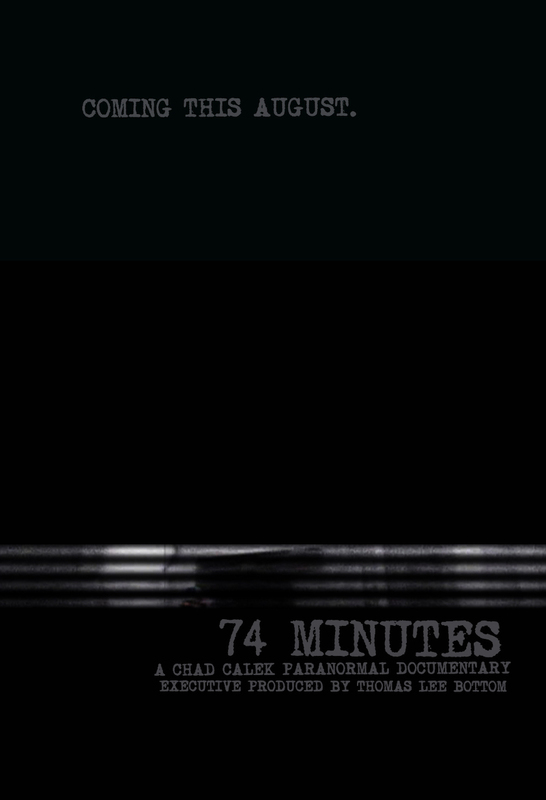 ONE HUNDRED "74 MINUTES" DVD PRE-ORDERS WITH DOWNLOAD LINK TO CHAD CALEK'S EVIDENCE COLLECTION NOW AVAILABLE! And now, as the final thesis to his body of investigative work, on August 28th, 2019, Calek is releasing his findings, his theories and all 74 minutes of that footage... to the world. 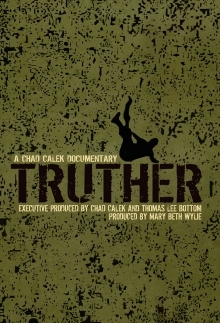 • A LINK TO DOWNLOAD CHAD CALEK'S ENTIRE EVIDENCE COLLECTION IN .MP4 FORMAT! 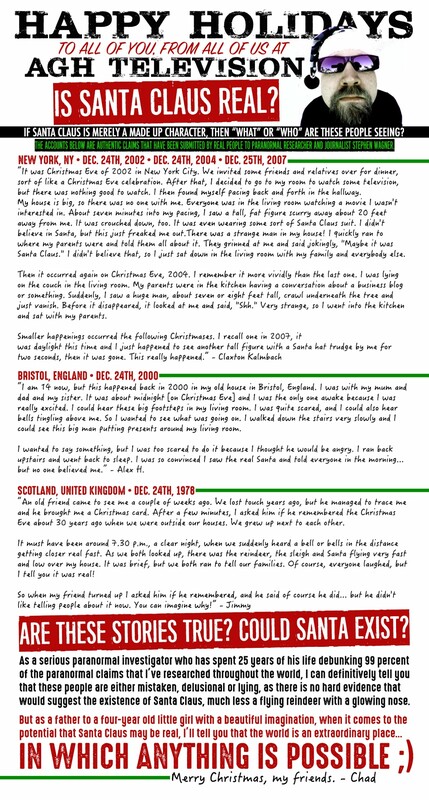 A direct link to download ALL of the evidence featured in the 74 MINUTES DVD (plus additional evidence footage) in .MP4 format, so that you my study the footage for yourself on your computer! Can you debunk the footage? Or is there something paranormal that we missed? With this .MP4 file of Chad Calek's entire evidence collection, you'll be able to not only investigate the footage for yourself, but you'll also have nearly two hours of paranormal evidence to show your friends, family and anyone else who's either interested or skeptical of the paranormal! • YOUR NAME IN THE SPECIAL THANKS CREDITS! As one of the 100 TOTAL INDIVIDIUALS to pre-order the 74 MINUTES DVD, you will be identified and thanked in the SPECIAL THANKS credits of the 74 MINUTES documentary! As always, THANK YOU for your interested, excitement and support. We cannot wait for your to see 74 MINUTES! TO PRE-ORDER ONE (OR MORE) OF THE 100 TOTAL AVAILABLE 74 MINUTES DVDS, PLEASE CLICK THE UNITED STATES OR INTERNATIONAL PRE-ORDER LINKS BELOW! 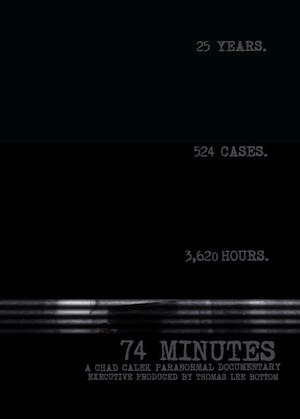 74 MINUTES is coming this August! 74 MINUTES is coming this August. THE "IN A CROWDED ROOM" PODCAST EPISODE #1 IS COMING! 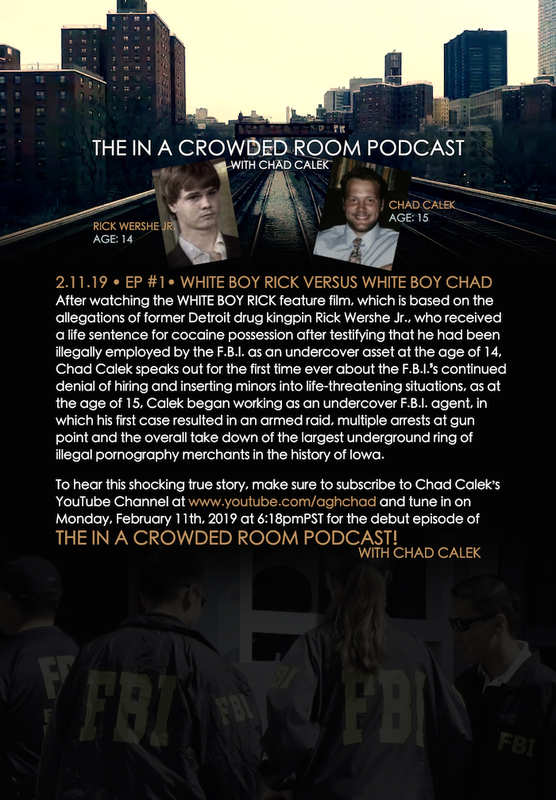 EPISODE #1 OF THE IN A CROWDED ROOM PODCAST DEBUTS ON FEB. 11TH, 2019! THE "2019 AGH BIRTHDAY BASH AT THE THOMAS HOUSE" TICKETS ARE ON SALE NOW! GET 'EM WHILE THEY LAST! CLICK PLAY TO WATCH THE "ROOM 37" EPISODE OF PARANORMAL STATE AT THE THOMAS HOUSE! • ALL ROOMS ARE DOUBLE OCCUPANCY ROOMS PRICED AT $120 PER NIGHT, IN WHICH HOTEL ROOM BOOKING FEES ARE NOT INCLUDED WITH THE TICKET PRICE. • DUE TO THE LIMITED NUMBER OF TOTAL ROOMS AVAILABLE TO THIS EVENT (13), ALL ROOM RENTALS MUST BE DOUBLE OCCUPANCY IN ORDER TO ACCOMMODATE ALL 26 INDIVIDUALS THAT WILL BE ATTENDING THIS EVENT. ONCE YOU PURCHASE YOUR EVENT TICKET, YOU WILL RECEIVE A CONFIRMATION EMAIL WITH THE THOMAS HOUSE ROOM RENTAL PHONE NUMBER AND THE AGH BIRTHDAY BASH EVENT ROOM RENTAL "PASSWORD" REQUIRED TO BOOK YOUR ROOM. IF YOU ARE A SINGLE TICKET BUYER AND NEED A ROOMMATE, AFTER PURCHASING YOUR TICKET, PLEASE INFORM US VIA EMAIL AND WE WILL INTRODUCE YOU TO OTHER SINGLE-TICKET GUESTS WHO WILL ROOM WITH YOU AND SPLIT THE ROOM BOOKING FEES. • SINGLE OCCUPANCY IS ONLY ALLOWED IF AN INDIVIDUAL PURCHASES TWO (2) EVENT TICKETS IN ADVANCE OF BOOKING THEIR ROOM. AS MENTIONED ABOVE, TWO "ALL YOU CAN EAT" SOUTHERN STYLE, HOME COOKED MEALS ARE INCLUDED WITH THE TICKET PRICE. • YOUR TICKET PURCHASE CONFIRMATION EMAIL WILL INCLUDE ALL RELEVANT TRAVEL INFORMATION NEEDED TO GET TO THE THOMAS HOUSE. • PLEASE SEE THE OFFICIAL EVENT ITINERARY BELOW! THE 2019 AGH BIRTHDAY BASH OFFICIAL ITINERARY! • Noon to 5pm - Check in to the Thomas House. • 6pm - Enjoy and incredible down home southern style dinner in the main hall of the Thomas House. • 9pm - Welcome Party with Commemorative Badges given out! Time for individual photos and free autographs. 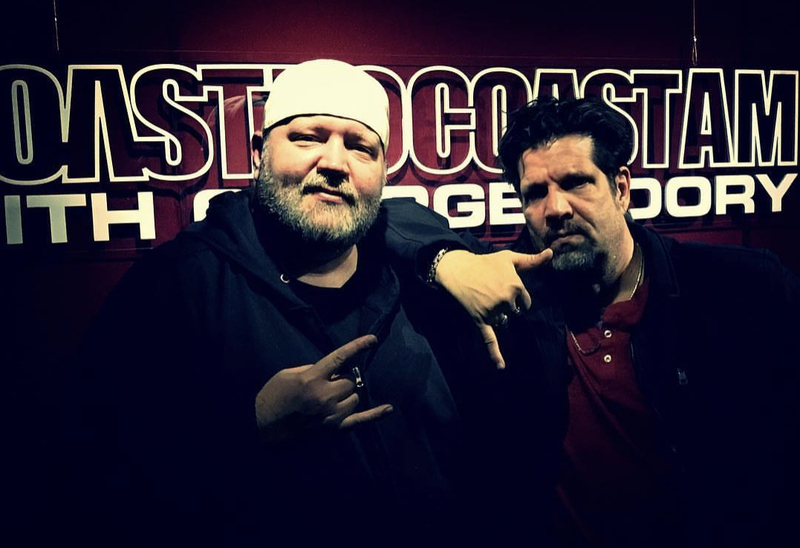 • 10pm - 2am - Ghost Hunting with Chad and Craig. • 8am - Enjoy an incredible down home southern style breakfast in the main hall of the Thomas House. • 2pm - SIR NOFACE Q&A with Chad and Craig. • 3pm - TWO FACE: THE GREY Q&A with presentation of NEVER BEFORE SEEN updated evidence. • 5pm - Break for all in attendance. • 8pm - ROOM 37 Q&A and ROOM 37 episode Walk Through. • 9pm - ROOM 37 Recreation Ghost Hunt. • 2pm - Evidence Review Time (check your footage to see what you may have captured). • 3pm - Evidence Presentation Time (share your evidence with all in attendance). • 8pm - Merch Table and Ghost Stories - Chad and Craig share some of their most intense ghost stories. - Check out the latest AGH merchandise as well as new merchandise from Craig’s WSPR Team. • 10pm - Midnight - Ghost Hunting in Room 37. • Midnight - 2am - Ghost Hunting with Chad and Craig. • 9am - Evidence Review Time (check your footage to see what you may have captured). • 10am - Pictures and Goodbyes - We’ll see you at the next one! • 11am - Event concludes. TWO FACE: THE GREY DVDS WILL BEGIN SHIPPING THIS WEEK! I just took a break to let all of you (my incredibly awesome TWO FACE: THE GREY DVD customers) know that I'm working away on all of the DVD signings, in which orders will begin shipping tomorrow! This means that throughout the week you will all begin to receive your USPS tracking number emails, which of course means that you autographed TWO FACE: THE GREY extended version DVD is on its way! Once you receive your copy, please keep in mind that there's a special "DVD ONLY" evidence scene after the final credits, which is a serious mind-bender that effects the entire case! I also couldn't be happier with how the final DVD product turned out, as not only does the film look beautiful on the big screen, but the packaging and final DVD printing came out awesome as well, as we switched from the big ole' clunky, plastic Amaray DVD cases (which scratched the hell out of the DVDs if they got dislodged from the circular plastic holder during shipping) to the eco-wallet packaging, which for the same production price, not only ensures the disks won't get scratched, but the final artwork is much more crisp and clean, as it's printed directed to the wallet, so you're not looking at a light-glaring matte finish through an ugly thin plastic cover holder. And I ABSOLUTELY LOVE the "flat black" print on the DVD's (which is a new option as well), as it makes the silver sharpie really stand out. In short, these are my favorite DVDs that we've ever released... and very soon, they will be in your hands! I'll update everyone on shipping in a few days as well, but I just wanted to share my excitement about the final product and say THANK YOU once again for your incredible support throughout this entire process. I promise the wait will be worth it, my friends! COAST TO COAST AM TWO-HOUR INTERVIEW WITH CHAD CALEK! 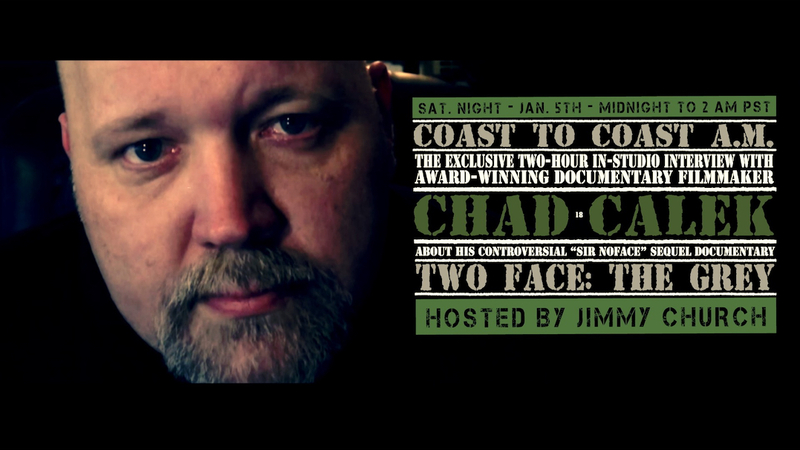 Thank you to everyone at the legendary COAST TO COAST A.M. radio show, especially host Jimmy Church, for the invite to discuss my latest documentary, TWO FACE: THE GREY, for what ended being an interview that lasted in excess of two hours! Syndicated on 600 radio station in the United States and Canada, reaching over 2 MILLION PEOPLE, needless to say, it was an honor to appear for the second time on the show that I grew up listening to. To all who tuned in... THANK YOU! To the one and only Jimmy Barnes... your support is truly appreciated, my friend. And if you haven't yet seen TWO FACE: THE GREY, please CLICK HERE to watch it exclusively on VIMEO ON DEMAND! Much love and all the best, everyone. "TWO FACE: THE GREY" IS NOW AVAILABLE ON VIMEO ON DEMAND! "TWO FACE THE GREY" IS NOW AVAILABLE TO WATCH EXCLUSIVELY ON VIMEO ON DEMAND! CLICK PLAY ON THE VIDEO BELOW TO WATCH THE OFFICIAL EXTENDED TRAILER TO "TWO FACE THE GREY"
THANK YOU ALL FOR YOUR INTEREST, SUPPORT AND EXCITEMENT! THIS FRIDAY, NOV. 24TH, YOU CAN PRE-ORDER THE SIR NOFACE "SPECIAL EDITION" DOUBLE-DISC DVD! ONLY 1,000 WILL BE MADE! Posted below is the cover artwork or the "SIR NOFACE" SPECIAL EDITION DOUBLE-DISC DVD SET, which I'm proud to announce that TOMORROW NIGHT at 8pm PST, under the "DVDS & MERCH" tab at www.aghtelevision.com, a limited run of 1,000 TOTAL "SIR NOFACE" SPECIAL EDITION DOUBLE-DISC DVD SETS, with OVER TWO HOURS of additional footage and featurettes (see disc descriptions below), will be available to PRE-ORDER WHILE THEY LAST with a shipping date of March 1st, 2018! Please note that these 1000 "SIR NOFACE" SPECIAL EDITION DVD SETS will be the only "SIR NOFACE" DVDS (in any edition or format) that will EVER exist. So what is included on the "SIR NOFACE" SPECIAL EDITION DOUBLE-DISC DVD SET? • CHAD CALEK'S DIRECTOR'S CUT VERSION OF SIR NOFACE! Check out 11 minutes and 42 seconds of "never before seen" addition footage that I initially included in the first completed cut of SIR NOFACE! • ADDITION INVESTIGATION FOOTAGE FROM THE AUSTRALIAN GOVERNMENT SANCTIONED PARANORMAL INVESTIGATION OF COCKATOO ISLAND! 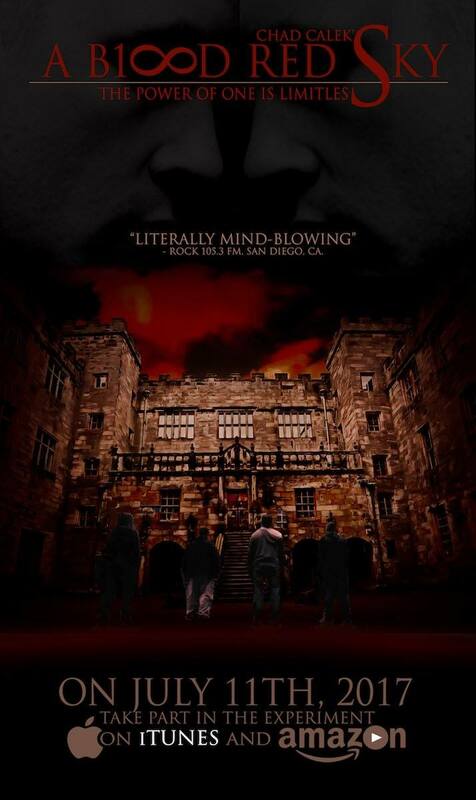 West Sydney Paranormal Research Team Founder and SIR NOFACE investigator Craig Powell has agreed to release 15 minutes of brand new, NEVER BEFORE SEEN RAW INVESTIGATION FOOTAGE. 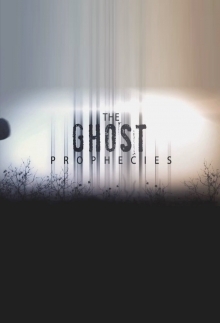 filmed during the now historic Australian Government-sanctioned paranormal investigation of Cockatoo Island, which was led by Powell himself. • THE "SIR NOFACE TOURS" SHORT DOCUMENTARY! Directed, Edited and Narrated by yours truly (Chad Calek) and shot between 2015-2017 by Tinder Steve Zilberman, the "SIR NOFACE TOURS" mini documentary will give you a completely UNCENSORED "behind the scenes" look into life on the road during our SIR NOFACE LIVES U.S. Tours and our 2015 Australian SIR NOFACE promotional trailer and feature "test screening" events. Nothing is held back, as the footage delivers an honest look at both the incredible "highs", as well as the inevitable "lows" that come along with chaising your dreams without a "Plan B". In short, it's been one hell of a ride thus far, which we can't wait to show you a true picture of life on the road, especially with SIR NOFACE, as not only has SIR NOFACE been the most well-received (and the best reviewed) documentary that I've ever made, promoted and presented to a live audience, but the overall level of support, excitement and love that we've received on our SIR NOFACE tours and screenings has been truly off the charts! • THE RAW EVIDENCE FILES FROM WSPR PRESENTED AS "STAND ALONE" VIDEOS! All of the WSPR RAW FOOTAGE that is presented in the SIR NOFACE documentary as "evidence" will also be presented on DISC 2 in "stand alone" format so that you watch the RAW EVIDENCE footage over and over again, as we can't wait to have the world at large review the footage! This includes not only the "SIR NOFACE" footage, but the footage of "SIR'S LIGHT", "THE ATTACK ON CRAIG". the "HALLWAY" footage and the "RECREATION" FOOTAGE. And last, but not least, there's probably an extra "goodie" hidden someone on the DISC 2 as well, which I'll leave that up to all of you to discover! • MAKE SURE YOU STORE YOUR TRACKING NUMBER IN A SAFE PLACE: Although the "SIR NOFACE" SPECIAL EDITION DOUBLE-DISC DVD SET will not ship until March 1st, 2018, after you purchase your PRE-ORDER, within 24 hours or less, you will receive your USPS TRACKING NUMBER. Please STORE YOUR TRACKING NUMBER SOMEWHERE RELIABLE so that you can track your package on March 1st, 2018. • COUNTRIES THAT WE WILL BE SHIPPING TO: As you will see TOMORROW NIGHT at 8PM when you click the "DVDS & MERCH" TAB at www.aghtelevision.com, we will be shipping to the UNITED STATES, AUSTRALIA, CANADA and THE UNITED KINGDOM! • We do not currently have a digital release date for SIR NOFACE. • And last, but not least, as I mentioned above, these 1000 "SIR NOFACE" SPECIAL EDITION DOUBLE-DISC DVD SETS will be the only "SIR NOFACE" DVDS (in any edition or format) that will EVER exist. With all of that being said, we're incredibly excited to finally be reaching this stage of the release of SIR NOFACE, as the 1,000 individuals who purchase the "SIR NOFACE" SPECIAL EDITION DOUBLE-DISC DVD SET will receive an immense amount of additional information surrounding the incredible true story of "SIR NOFACE". But what makes these 1000 "SIR NOFACE" SPECIAL EDITION DOUBLE-DISC DVD SETS so special is not only the fact that there's a limited number of them in existence, but there's just something very cool about making a project with a finite number of copies, as it drives you to ensure it's a truly special product, as once you're done with it - it you get it right - it's an awesome feeling to know that your biggest fans are going to love something that you created for them. That's the feeling I have now, as those who PRE-ORDER their 1 in 1000 "SIR NOFACE" SPECIAL EDITION DOUBLE-DISC DVD SET are going to be blown away by all of the truly EXCLUSIVE footage and and "never before released" information surrounding the incredible true story of Craig Powell, WSPR and the mind-bending events that were filmed during what is the ONLY PARANORMAL INVESTIGATION IN HISTORY to be officially sanctioned by the Australian Government. So until tomorrow night, to those of you who celebrate it, HAPPY THANKSGIVING! Have s lil' extra yard bird for me! CHAD CALEK'S "SIR NOFACE LIVES" TOUR IS COMING TO AUSTRALIA AND NEW ZEALAND! "SIR NOFACE LIVES" AUSTRALIA AND NEW ZEALAND OFFICIAL TOURING ANNOUNCEMENT! We're proud to announce that the "SIR NOFACE LIVES" TOUR is coming to Australia and New Zealand this November for five brand new tour dates, which are posted below! For complete event information or to PURCHASE PRE-SALE TICKETS RIGHT NOW (before the official "on sale" date Sept. 25th), you can CLICK THE TICKET LINK next to each tour date! Each tour date will be co-hosted by "SIR NOFACE" Director Chad Calek and "SIR NOFACE" Producer Justin Holstein and "SIR NOFACE", in which we're proud to announce that paranormal investigator Craig Powell, who led the Australian Government sanctioned paranormal investigation of Cockatoo Island, will also be co-hosting each tour date with us! Needless to say, we're counting down the days until we board the plane to bring SIR NOFACE home! Australia and New Zealand Dates for Chad Calek presents THE SIR NOFACE LIVES TOUR announced! PRE-SALE TICKETS ARE AVAILABLE NOW! from Chad Calek on Vimeo. Much love, all the best and we'll see you all in November! CHAD CALEK'S "A BLOOD RED SKY" TO BE RELEASED WORLDWIDE ON iTUNES ON AMAZON! CHAD CALEK'S "A BLOOD RED SKY" TO BE RELEASED WORLDWIDE IN 31 COUNTIRES ON iTUNES ON AMAZON ON JULY 11TH, 2017! Thank you all for making A BLOOD RED SKY the first official release of AGH TELEVISION! CHAD CALEK RELEASES HIS "TELL SOMEONE" PROMO VIDEO FOR PARAMERICAN RADIO! WATCH IT BELOW! FOR IMMEDIATE RELEASE (LOS ANGELES, CA.) JAN. 14TH, 2017: AGH Television Director and PARAMERICAN RADIO Co-Host Chad Calek released his "TELL SOMEONE" promotional video for PARAMERICAN RADIO today, which marks the official beginning of the "TELL SOMEONE" grass roots marketing campaign that will lead up to (and continue well beyond) the official launch of the PARAMERICAN RADIO podcast on Feb. 1st, 2017! "In today's world, every company in existence is looking for some clever catch phrase or some gimmicky way to create a public call to action," says Calek. "I don't believe we have to do that with our fans, friends and supporters, as they've proven over the years that they are with us every step of the way! 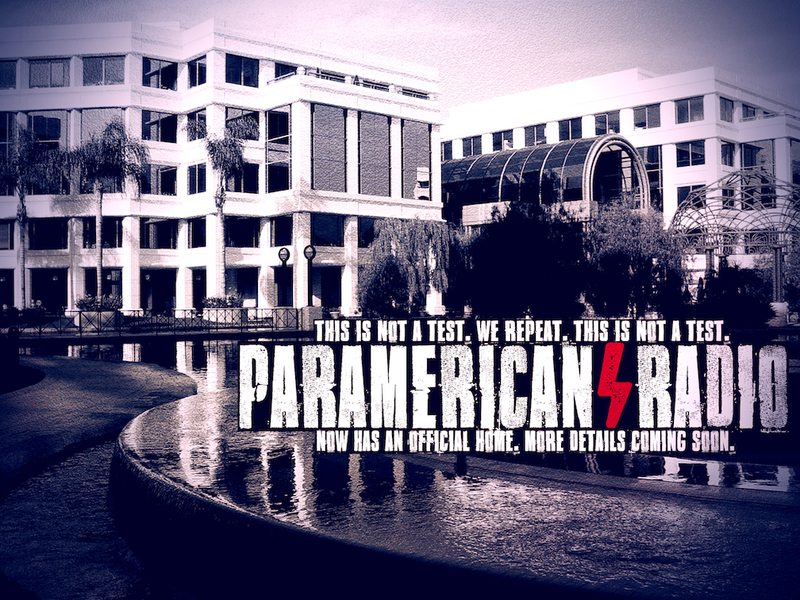 With that being the case, our primary marketing campain for the launch of PARAMERICAN RADIO is as straight forward as it gets, in which we're simply asking our fans, friends and supporters to spread the word about PARAMERICAN RADIO by simply telling someone about the podcast. We're committed to making sure PARAMERICAN RADIO is a success, but like everything we do, that success will start with the support of our fans and their dedication to sharing our efforts to the world. I know everyone says it, but I truly mean it when I say that we have the best fans in the world, which I'm certain the future of PARAMERICAN RADIO will once again prove." TO WATCH THE "TELL SOMEONE" PARAMERICAN RADIO PROMO, CLICK "PLAY" BELOW! 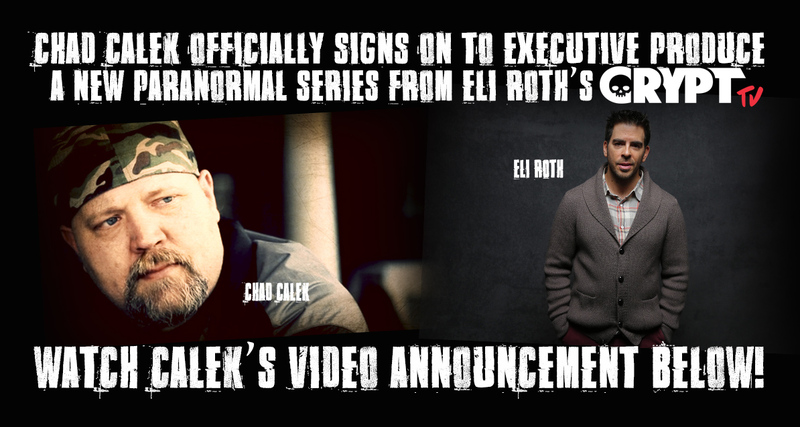 CHAD CALEK SIGNS ON TO EXECUTIVE PRODUCE A NEW PARANORMAL REALITY SERIES WITH ELI ROTH'S CRYPT TV! Chad Calek has officially been contracted to EXECUTIVE PRODUCE a new paranormal reality series for Eli Roth's CryptTV, in which Roth is also serving as an Executive Producer of the series. Although Calek is contractually limited when it comes to speaking about the details of the series, in the video posted below, Calek's discusses why he initially left television five years ago, why he accepted this offer, how it came about and much more! And as always, stay tuned for more details! A HOME FOR "PARAMERICAN RADIO" HAS BEEN FOUND! A home has been found. The foundation has been laid. Time to build the machine. More details soon, everyone. That's all we can say for now, my friends. Stay tuned for more announcements in the very near future. CHAD CALEK TAKES CALLS FROM FANS AND LISTENERS ON ROCK 105.3 FM'S "THE SHOW" IN SAN DIEGO, CA! To promote his upcoming "SIR NOFACE in SAN DIEGO" event on Oct. 29th, Chad Calek stopped by "THE SHOW", the #1 morning radio show in San Diego, CA on Rock 105.3 FM, in which Calek took several calls from guests! CLICK PLAY ON THE VIDEO BELOW to watch a segment from Calek's Rock 105.3 interview! We at AGH TV would also like to send a HUGE THANKS to our friends at Rock 105.3 fm, as they truly are the best in the business! THANK YOU, SAN DIEGO, FOR ANOTHER SOLD OUT "SIR NOFACE" EVENT! SAN DIEGO, CALIFORNIA... THANK YOU FOR ANOTHER INCREDIBLE SOLD OUT "SIR NOFACE" EVENT! CHAD CALEK APPEARS ON THE FIGHTER AND THE KID WITH BRYAN CALLEN AND BRENDAN SCHAUB, THE #1 PODCAST IN AMERICA ON ITUNES! FOR IMMEDIATE RELEASE (SANTA MONICA, CA) - Chad Calek recently appeared on THE FIGHTER AND THE KID with comedian/actor Brian Callen and former UFC Fighter Brendan Schaub, which is the #1 PODCAST IN AMERICA, to discuss A BLOOD RED SKY, AMERICAN GHOST HUNTER and his forthcoming SIR NOFACE documentary! To watch the entire episode on YOUTUBE or to listen on SOUNDCLOUD, CLICK PLAY below! CLICK HERE to listen and subscribe to THE FIGHTER AND THE KID on iTunes! A huge special thanks goes out to Bryan and Brendan and the entire TFATK crew! AGH TELEVISION RELEASES NEW "EXTENDED TOUR" VERSION OF THE "SIR NOFACE" TRAILER WITH CROWD REACTIONS! FOR IMMEDIATE RELEASE (SANTA MONICA, CA): AGH Television just released a brand new "EXTENDED TOUR" VERSION of the "SIR NOFACE" OFFICIAL TRAILER, which includes nearly five minutes of live footage that shows the authentic crowd and media responses and reactions to "SIR NOFACE" and the footage featured in Chad Calek's latest paranormal documentary, which chronicles the 2013 Australian Government-sanctioned paranormal investigation that led to Craig Powell and the West Sydney Paranormal Research Team capturing the world's first authentic footage of a full-body apparition that definitively proves the existence of ghosts! TO WATCH THE "EXTENDED TOUR" VERSION OF THE "SIR NOFACE" OFFICIAL TRAILER, CLICK PLAY ON THE VIDEO BELOW! And to all of the attendees that we met on the Paramerican Tour... THANK YOU! We'll see you all again on the road soon! 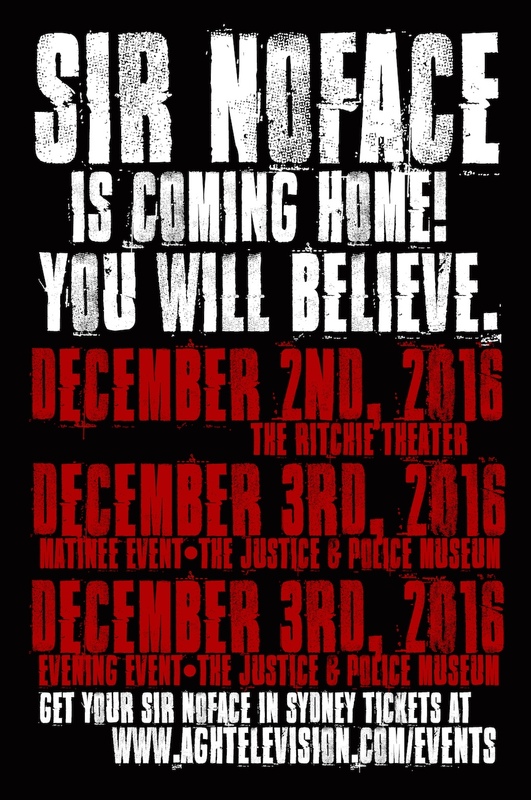 THE DEC. 3RD "SIR NOFACE IN SYDNEY" EVENT SELLS OUT IN RECORD TIME, WHILE LIMITED TICKETS REMAIN TO THE DEC. 2ND SYDNEY "SIR NOFACE" SCREENING! 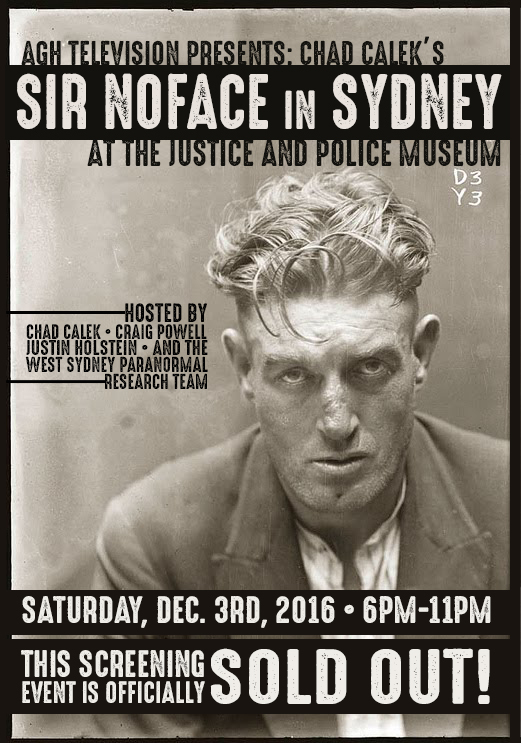 FOR IMMEDIATE RELEASE (SYDNEY, AUTSTRALIA): We're proud to announce that our Dec. 3rd "SIR NOFACE IN SYDNEY" screening event at the Sydney Justice and Police Museum for Chad Calek's "SIR NOFACE" documentary has OFFICIALLY SOLD OUT in only five days, which is a record for AGH TELEVISION! In addition, the Dec. 2nd "SIR NOFACE IN SYDNEY" at the Ritchie Theater on the Kensington Campus of the University of NSW is already over 1/2 sold as well, in which discussions are being had about potentially adding a third matinee screening! TO PURCHASE REMAINING TICKETS TO THE DEC. 2ND "SIR NOFACE IN SYDNEY" EVENT, CLICK HERE! Thank you so much for your continued support, Sydney! We'll see you all in December! "SIR NOFACE" IS COMING TO SYDNEY! RIGHT NOW, FOR A LIMITED TIME, PURCHASE ADVANCED, DISCOUNTED EVENT TICKETS! Hello, everyone! As we proudly announced earlier this week, on Dec. 2nd and Dec. 3rd, we're returning to SYDNEY, AUSTRALIA, to host two incredibly special "SIR NOFACE" screening events that will be nothing short of magical for many reasons! WATCH THE VIDEO ANNOUNCEMENT AND TRAILER TO "SIR NOFACE" HERE! 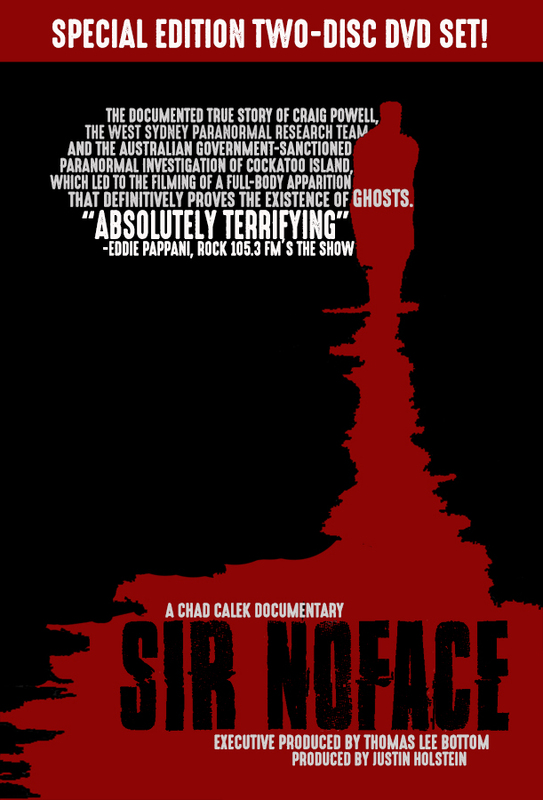 THE HOMETOWN OF SIR NOFACE: Not only do these back-to-back screenings represent the only SIR NOFACE screenings that will be held in Australia in 2016, but in addition to filming much of SIR NOFACE in Sydney, both of these screenings will also be hometown screenings for the West Sydney Paranormal Research Team and W.S.P.R. founder Craig Powell, in which Powell and the W.S.P.R. team are the focus of the SIR NOFACE documentary. And last but not least, both of these shows will offer Australians the first chance to see and judge the SIR NOFACE full-body apparition footage (and much more) for themselves, just across the waters of Sydney Harbour, in which the SIR NOFACE apparition footage was captured on Cocktoo Island! ADDITIONAL PRESENTATIONS: As you'll see below on the event graphic, in addition to screening the SIR NOFACE documentary, we'll also be screening one of Craig Powell's favorite U.F.O. 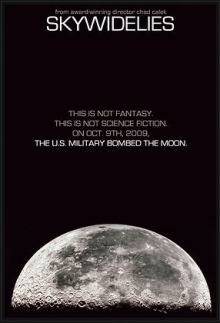 documentaries of mine called, SKY WIDE LIES, which delives into the U.S. Military's nuclear missle attack against the moon, which was actually broadcast LIVE on U.S. television on Oct. 9th, 2009. If you've enver heard of this event happening, there's a good reason for that, which you'll discover that reason (and much more) in SKY WIDE LIES. And just before we watch "SIR NOFACE", I will also be giving a short presentation for my forthcoming BLACKSHEEP documentary, which we will have several major new updates for everyone by Dec. 2nd and 3rd! 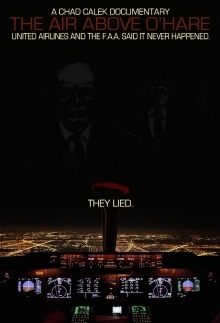 WATCH THE "SKY WIDE LIES" TRAILER BELOW! • There are THREE (3) unique ticket packages being offered to these events, which are GOLD, PLATINUM and V.I.P. TICKETS (WHICH ONLY 20 TOTAL V.I.P. TICKETS ARE OFFERED PER SHOW). Please note each ticket package description is also posted below! • A lastly, on the graphic below, you can see the *STANDARD* ticket price, which is the price that tickets will be on SEPT. 1ST, 2016, when each of these events go "LIVE" on our "EVENTS" section of the AGH TELEVISION WEBSITE, in which ALL TICKET PACKAGES will be available to the general public on a first-come, first-served basis! EVENT VENUE: Given the current excitement and demand for these shows, we anticipate that both events will sell out quickly, especially since our last event in Sydney sold out nearly a month before the event start date! With that being the case, right now we have some pretty exciting (and admittedly ambitious) venue options that we're considering for both of our SYDNEY "SIR NOFACE" screening events, as we want to do something truly special for our attendees. But before we make a final decision, we need just a little bit of time to gage our ticket sales for a few weeks to ensure that we don't go either "too big" or "too small" for either event. For this reason, we're going to be announcing the VENUE for both the Dec. 2nd and Dec. 3rd SYDNEY "SIR NOFACE" SCREENING events on Sept. 17th. By then, we'll have a fairly accurate idea as to what size of a venue we need to comfortably accomodate our attendees! Much love, my friends. 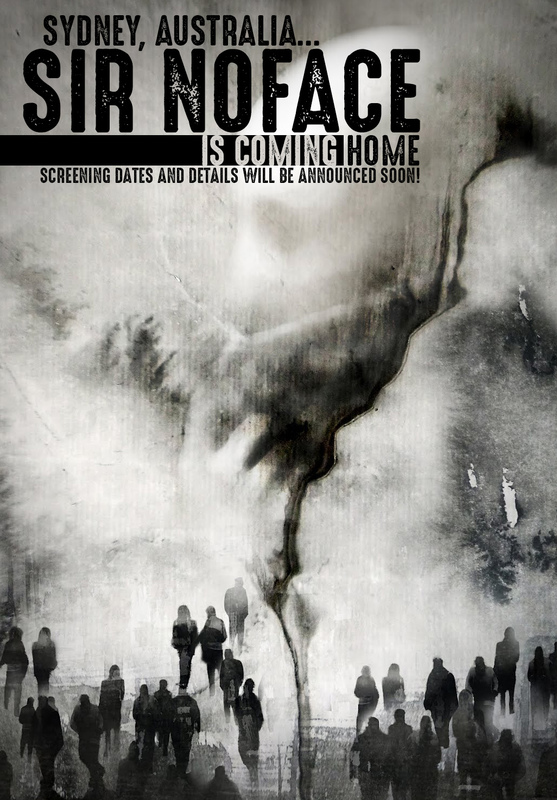 We can't even begin to tell you all how excited we are to be retuning to Australia for these special "SIR NOFACE" screenings, as this forthcoming trip back to Australia we've been highly anticipating for some time now! We'll see you all down under on Dec. 2rd and Dec. 3rd! SEVERAL "SIR NOFACE" UPDATES POSTED BELOW! DOES CALEK'S "SIR NOFACE" DOCUMENTARY REALLY DEFINITIVELY PROVE THAT GHOSTS EXIST? CLICK HERE TO WATCH THE OPINIONS OF THOSE WHO VIEWED "SIR NOFACE" ON THE PARAMERICAN TOUR! AUSTRALIAN "SIR NOFACE" SCREENING DATES TO BE ANNOUNCED SOON! MAKE SURE TO CHECK THE EVENTS SECTION OF THIS PAGE FOR THE LATEST TOURING AND EVENT ANNOUNCEMENTS!